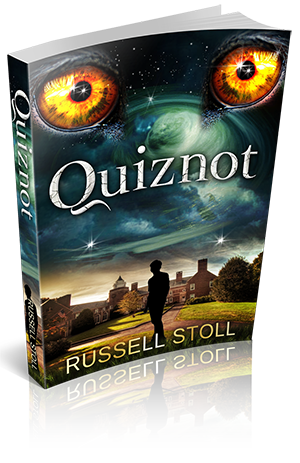 I just received a wonderful review for Quiznot from Bethanie Armstrong over at her blog Bethanie’s Blog–Reviews and Faves. Thanks Bethanie! And WOW!! I don’t know how else to explain this book. It has hit the Bethanie’s Fave list. I immensely enjoyed this book. Each page I turned I had no idea what would happen next. It was extremely unpredictable and I loved it! Most of the time I like predictability, bu this time it didn’t happen. I was just fine with that. I still wonder what happened to a certain character in this book, but luckily this is only Book One. I am so excited that I have more to look forward to, and will hopefully have my question answered. Now, I will have to say this. The way the book started off, I thought it was just going to be another boring book about people doing strange things. I was SOOOO happy to find out that I was completely wrong! Oh my goodness! This book had a huge mixture of things to it. It reminded me of X-Men meet the Stepford Wives. When I said that to my husband he imitated his mind being blown–Ha Ha! He is not an avid reader like me. I was able to get him into reading at one point and every-once-in-a-while I can do it again. I am going to try with this book. I think he would enjoy it. Mr. Stoll has written a great Sci-Fi book that I would recommend for any age from about 13 and up. It is definitely a young adult novel. What a grand adventure awaits the reader who chooses this book! The writing I only found a few mistakes in, but the storyline was impressive. Mr. Stoll wove so much into this book sometimes it was hard to keep up with until you read a few pages in and suddenly realize what has happened. That was the only part that kind of threw me. But once I figured it out, it made every bit of sense. In my opinion it connected the aspects of the book. One other thing. Some readers care and others don’t. There are very few expletives in this book, I only remember about two. They are very lite. I was given a copy of this book in exchange for a fair and honest review. No monetary exchange was made. 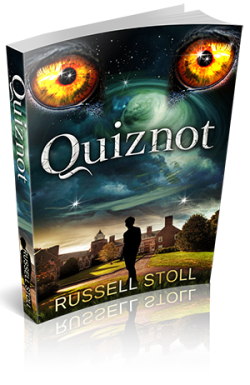 My debut eBook, Quiznot, finally went on sale today on Amazon.com. Look for the print version in a month or so. I’m kind of speechless now, just soaking in the moment. For now, more thanks than I can express verbally to my wife Jennifer for putting up with me as I pursued this crazy journey.